Oscars 2017 live updates: In high drama, instead of real winner Moonlight, La La Land was announced from the stage. La La Land won six awards but lost best film. 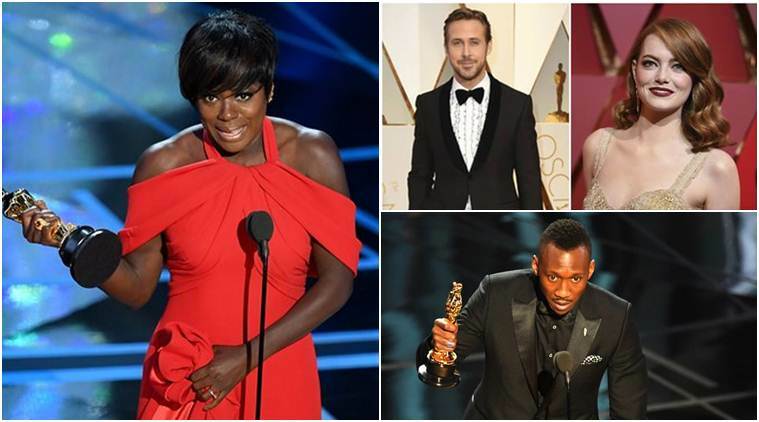 Emma Stone, Casey Affleck, Viola Davis and Mahershala Ali have emerged as the big winners with Dev Patel left high and dry. Priyanka Chopra made news once again with her red carpet statement but there’s a lot still left to come from the Oscars. Oscars 2017 live update: While Moonlight won the Best Picture Oscar, Warren Beatty by mistake announced La La Land as the winner.Welcome to Oscars 2017 live blog with live updates of 89th Academy Awards. Oscars 2017 saw something unprecedented as the name of the winner was announced as La La Land when Moonlight had really won. The error lay at Warren Beatty’s door. After the La La Land team reached the stage to accept the award, it was announced that it was a mistake. 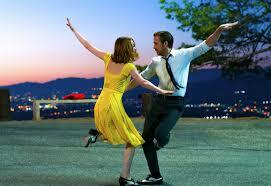 While twinkle-toes La La Land got 14 nominations, including nods for Emma Stone, Ryan Gosling and Damien Chazelle, it easily scooped up six awards including the best director for Chazelle, best actress for Stone, best original score and best original song for City of Stars. Moonlight won two awards while Hacksaw Ridge won two. However, the first award of the night — the Best Supporting Actor nod — went to Mahershala Ali for Moonlight, leaving Dev Patel high and dry. Viola Davis won the Best Supporting Actress award, creating history. Earlier, we saw Priyanka Chopra walking the red carpet with Hollywood biggies such as Dwayne Johnson. Trump came in for a fair amount of criticism, the most important moment being Iran’s The Salesman winning the Best Foreign Feature Film and its maker Asghar Farhadi not attending the Oscars in protest against US President’s immigration policy. 10.35 am: Huge blunder on Oscar stage as La La Land and not Moonlight announced as the winner of Best Film. Warren Beatty later announced that by mistake he announced La La Land as winner. 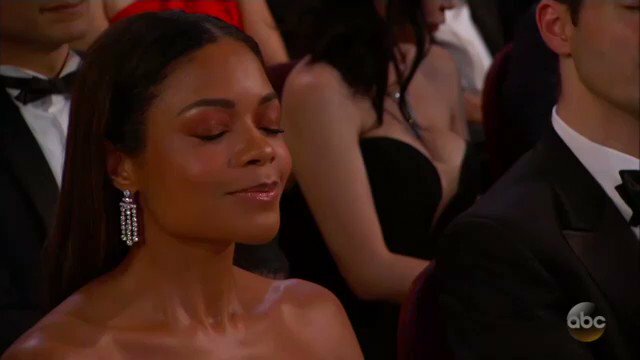 10.32 am: Jimmy Kimmel’s favourite part of the night is here as he watches Mat Damon lose an Academy Award. 10.25 am: The Oscar for Best Actress goes to Emma Stone, La La Land. 10.18 am: The Oscar for Best Actor goes to the totally deserving Casey Affleck, Manchester by the Sea. 10.15 am: Chazelle in his acceptance speech says La La Land is a film about love and he has been lucky enough to find love himself. 10.12 am: And the first big award is here. The Oscar for Directing goes to Damien Chazelle for La La Land. 10.04 am: Oscar for Adapted Screenplay goes to Moonlight (Barry Jenkins and Terry Alvin McCraney). 10.01 am: Oscar for Original Screenplay goes to Machester by the Sea (Kenneth Lonergan). 9.59 am: Besties Ben Affleck and Matt Damon are on Oscars stage as Jimmy Kimmel steps under to conduct the music. You can’t hear Damon, that’s for sure. 9.47 am: Oscar for Best Original Song goes to City of Stars, La La Land. These are two wins in a row for the musical. 9.45 am: Oscar for Best Original Score goes to La La Land. 9.43 am: Samuel L Jackson introduces the nominees for Best Original Score, the people who left you humming. 9.35 am: John Legend performs La La Land’s City of Stars. 9.32 am: Jimmy Kimmel brings his mean tweets to Oscars 2017 too. Robert DeNiro, Eddie Redmayne, Emma Stone and Jeff Bridges get some shade. 9.29 am: Oscar for Cinematography goes to La La Land. Is it extra special because Streep and Bardem are presenting? 9.28 am: Javier Bardem playbacks to what Meryl Streep and her work mean to him. They come together on stage. This Academy Award telecast just got better. 9.22 am: Jimmy Kimmel tweets to President Donald Trump, “Hey @realDonaldTrump u up?” And follows it up with “twitter idea for 2017: find real things to be mad about.” Will we see Trump reacting? 9.17 am: Oscar for Live Action Short Film goes to Sing. 9.15 am: The Oscar for Documentary Short Subjects goes to The White Helmets. 9.07 am: The talented Sunny Pawar’s conversation with Jimmy Kimmel is monosyllabic but unbelievable adorable. The duo performed to Lion King and candy fell from the sky again. It is a good day to be a child at the Academy Awards venue. 9.05 am: Oscar for Film Editing goes to Hacksaw Ridge. 9 am: The Oscar for Best Visual Effects goes to The Jungle Book. 8.50 am: A couple just got married live during Oscars ceremony. And the one who got them married? Denzel Washington. 8.47 am: Kimmel makes the entire auditorium shout Mahershala as some lucky tourists get a tour. 8.44 am: Best Production Design Oscar goes to La La Land. It is the film’s first Oscar for the night. 8.41 am: The Animated Feature Film Oscar goes to Zootopia. 8.38 am: Animated short film goes to Piper. 8.35 am: Asghar Farhadi sent a written statement as he decided not to attend the ceremony in protest of Donald Trump’s immigration ban. He said in his statement, “My absence is out of respect for the people of my country” and in protest of “inhumane” ban. 8.26 am: Best Foreign Language Film goes to Asghar Farhadi for The Salesman. 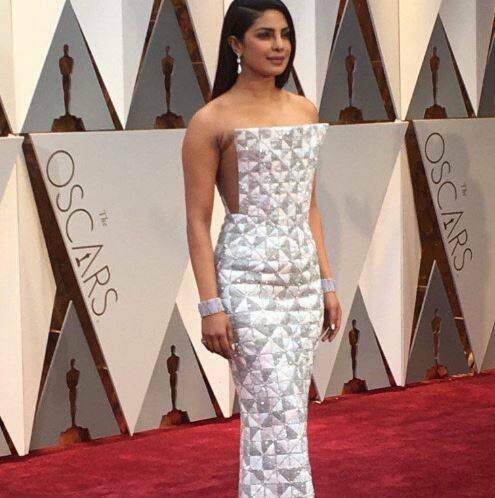 It is by far the most political statement at the Oscars. 8.22 am: Kimmel says Viola Davis just got nominated for Emmys after giving that acceptance speech at Oscars. 8.19 am: Viola Davis gets a standing ovation as she accepts the Best Supporting Actress award, thanks ‘O captain, My captain’ Denzel Washington for putting two people in the driver’s seat in the film. “We are the only profession that celebrates what it means to live a life,” says Viola as she talks about the importance of telling stories. 8.11 am: The Oscar for Best Actress in a Supporting Role goes to Viola Davis for Fences. 8.08 am: In case you missed any Jimmy Kimmel joke, here are all of them in one video. 8.05 am: It is raining candies and as Kimmel says, if guests pay them, there can be avocados too! 8 am: The Oscar for Best Sound Mixing goes to Hacksaw Ridge, the film’s first award of the night. 7.57 am: Oscar for Best Sound Editing goes to Arrival (Sylvain Bellemare). 7.52 am: Kimmel reveals who are the people handing out trophies at Oscars — they are all winners of student Academy Awards. 7.45 am: Dwayne Johnson talks about bringing ‘this planet together’ by singing his song from Moana. He is there to introduce the second performance. 7.41 am: Best Documentary Feature goes to OJ Made in America. 7.37 am: Katherine Johnson is invited on stage, gets a standing ovation. She inspired Hidden Figures. 7.31 am: Suicide Squad is an Oscar-winning movie, even if it is for best make-up and styling. 7.30 am: Oscar for Best Costume Design goes to Fantastic Beasts and Where to Find them (Colleen Atwood). 7.26 am: Kimmel is back and he’s made a joke about anyone from CNN, New York Times or any publication with the word “times” in to leave the building. You’re going to get hella drunk tonight if you’re playing the Trump joke drinking game. 7.19 am: The Supporting Actor (Male) award goes to Mahershala Ali. Dev Patel loses the award. 7.08 am: Jimmy Kimmel is burying the hatchet with Matt Damon! 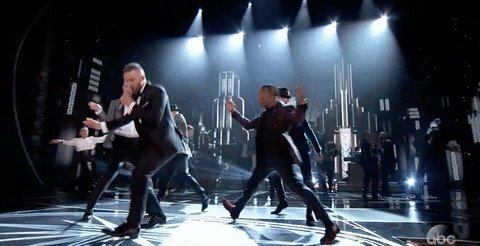 7 am: Justin Timberlake begins Oscars 2017 on a musical, non-political note. He had the whole theatre dancing with him. 6.50 am: Karl Lagerfeld claimed Meryl Streep turned down a Chanel dress that he had designed for her as she was getting paid to wear something else. Streep fought back and Lagerfeld stepped back. So, what is Miranda priestly wearing today? 6.45 am: A favourite for clinching an Oscar for Best Supporting Actor, Mahershala Ali. 6.34 am: An Academy interview with Oscars 2017 nominee for Best Supporting Actor Dev Patel (Lion). 6.28 am: Are these women the best dressed at the red carpet — Viola Davis and Nicole Kidman? 6.18 am: Priyanka Chopra arrives on the red carpet as she tones down her game in a Ralph and Russo white-and-silver panel dress. Her make-up is barely there. 6.12 am: Emma Stone brings La La Land right to the Oscars doorstep as she shows up in a dress which is meant to be danced in. 6.03 am: Dakota Johnson misses the bus with her dress which strongly resembles curtains. Oscars 2017 are not only attracting the best names in Hollywood, but the 89th Academy Awards also promise to be the most politically charged ceremonies thanks to President Donald Trump’s ascension. With Dev Patel’s nomination in the Best Supporting Actor category for Lion and Priyanka Chopra ready to walk the red carpet, India has special reasons to look forward to the Jimmy Kimmel-hosted show. Among those nominated for the 89th Academy Awards, the twinkle-toes La La Land is a clear favourite. 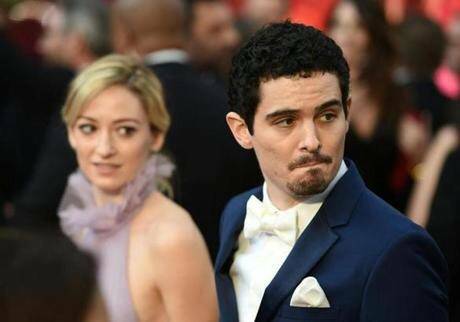 The Damien Chazelle musical has 14 nominations including best directing, best picture and best original screenplay. The film’s stars Emma Stone and Ryan Gosling both received best acting nods. The coming-of-age tale Moonlight and sci-fi thriller about loss and hope Arrival have received eight nominations each. The other actors nominated along with Gosling include Casey Affleck, Andrew Garfield, Viggo Mortensen and Denzel Washington. Ruth Negga, Isabelle Huppert, Natalie Portman and Meryl Streep are among those who got best actress noms. Dev Patel has been nominated in a supporting role category for Lion. Those vying for best picture category in addition to La La Land are Arrival, Fences, Hacksaw Ridge, Hell or High Water, Hidden Figures, Lion, Manchester by the Sea and Moonlight. Best Supporting Actor nominee Dev Patel arrives at the Oscars 2017 red carpet. Will he win an award for Lion tonight?